What's it like to collaborate with Solange if you're a book designer? Montreal's Frédérique Gagnon tells CBC Arts about the experience. Before Solange's new record became a surprise No. 1 on the Billboard 200 — before the memes and the remixes and the many, many think-pieces about its timely and powerful message about being black in America — she sent her fans a request. In late September, if you gave the singer your mailing address — and you happened to be among the first 86 people to do so — she, in turn, would send you something. That something turned out to be a hardcover art book. 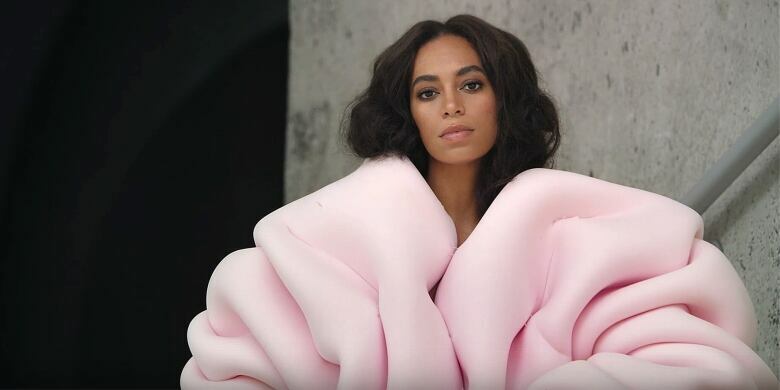 It's available to view online, too, since there are considerably more than 86 Solange fans in the universe, and inside, you'll find poetry and photographs. Solange's name doesn't appear until the very last page, adding to the cryptic experience of reading it (and, we can only imagine, finding it in your mailbox). But by September 30, when Solange's new album A Seat at the Table arrived — just three days after she announced it — all was clear. The book was a companion to the record. The poems were her lyrics; the photos, full of futuristic fashion and architecture, were ripped from her new music videos. It was one more component in the project's flash roll-out, and talking with the book's Canadian designer, it turns out the project itself was pitched and published quicker than you can say, "Don't Touch My Hair." To make it all happen, Solange approached Montreal publisher Anteism in August. 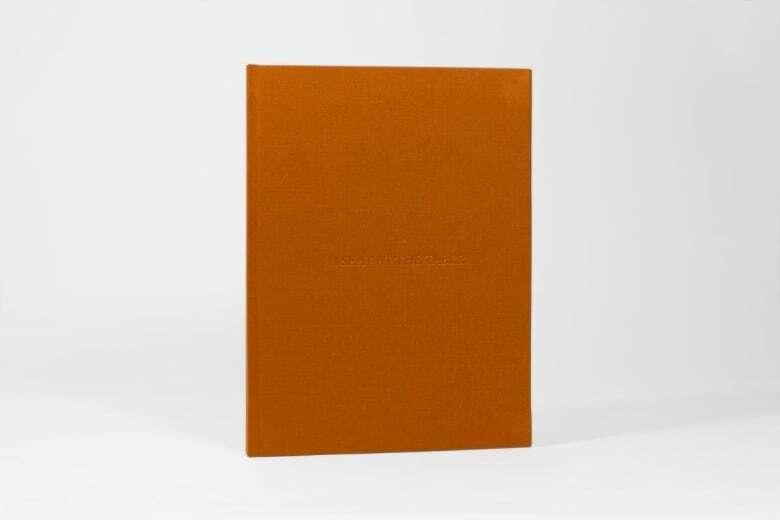 They're specialists in limited-edition artist books, including a particular Jesse Edwards catalogue that had caught the pop star's attention. One of their regular freelancers, Frédérique Gagnon, got the assignment to collaborate on the book. 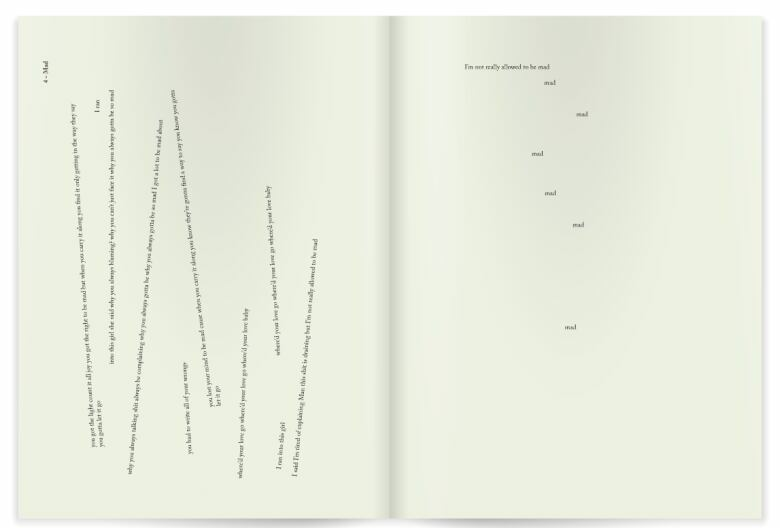 As Gagnon tells CBC Arts, Solange gave her the full go-ahead to develop the book's design, which transforms the musician's insightful lyrics about identity and empowerment into concrete poetry — a minimalist approach that distills the concept album into words and gesture. "I don't have this much latitude when working with other clients," she says. Just like Master P, Lil Wayne, Kelly Rowland and every other bold-faced name on the project, Gagnon is among Solange's many collaborators on A Seat at the Table. Answering our questions over the phone and by e-mail, here's her take on the experience, plus her thoughts on how record-release art projects — whether we're talking Frank Ocean's "Boys Don't Cry" magazine or "visual albums" like Beyonce's Lemonade — are more than just a trend. So, when you heard that you'd be working on a book for Solange, what was your reaction? Oh, I was pretty excited! How big of a fan were you when you got the assignment? I was a fan. I think I'm more of a fan now (laughs). I really appreciate that process of getting to know someone through their inspirations and all that. I think you become closer to them a little bit — I feel like it's not just music you hear on the radio after you know that. You usually work with visual artists — painters, photographers? Yep. I don't know if you know Alison Blickle — she's from L.A., she's a painter. I'm working right now on a book with 25 artists, all from Montreal. Is there something different about working with a musician? It was the first time I worked with a musician, and yeah, I was surprised to see how not so different it was! (laughs) It was really impressive to see how she's actually more inspired by visual stuff than I would have thought. When we asked her to send us references of what maybe inspired her while she was writing the album, she didn't send anything related to music. She was helpful and sent a mood-board of graphics, photos, paintings and collages, mentioning a special interest in Donald Judd's work and minimalism. 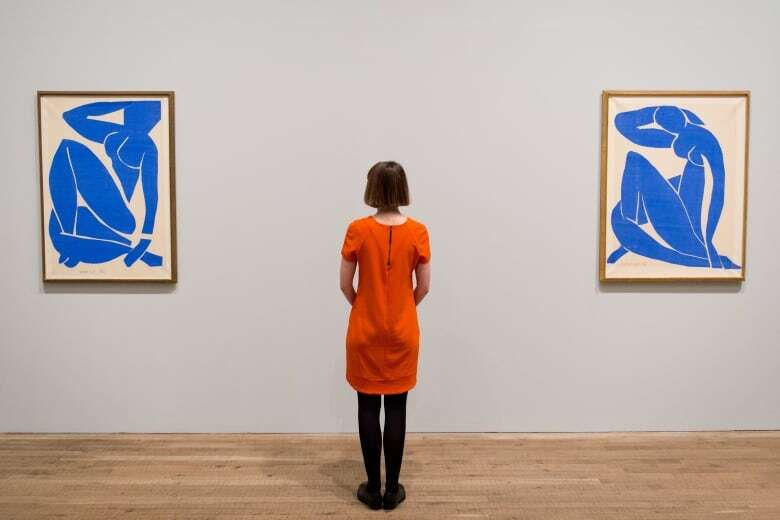 I was especially inspired when she sent a few Matisse collages which I already had on my desktop for personal reference. It was all visual arts, sculpture and paintings — it was really cool. How long were you working together on the project? Oh, not long at all. I had maybe a week and a half or two weeks of exchanging emails with her. She was actually shooting a video at the time, so she was pretty busy and sending emails when she had a second — like a few things she had on her desktop, visual inspirations and stuff like that. So yeah, I never met with her in person. I was in Montreal, and she — she was in New York for a while, but she went to other places, too. We sent her all the different page layouts after maybe two weeks, max. It was really quick — usually it's a bit longer. How long would a project like this usually take? Usually it's two months. It depends if there's more or less text, too. Why such a rush to get it out — two weeks instead of two months? Well, she wanted to send it out [to fans] before the album came out because it was kind of like a surprise. They didn't get to hear the actual album for another few days, or a week. When you first started e-mailing, what sort of information were you given? What did she want to do with the project? She didn't really have any directions. She wanted a hardcover book. She said she wanted to send her fans the lyrics, but as a book that wasn't really telling them the lyrics. She said not to have words like "title" and "intro" — things like that. At first, there wasn't supposed to be any photos at all — instead it was just text. Why did you decide to add photos, then? I think that was the art director's idea, Carlota Guerrero. She's been working with Solange for awhile, and doing all the photography for her. I wasn't in contact when they had that idea to add the photos. Why the focus on creating a sense of mystery — just sharing the words, but not calling them lyrics? At first, she actually didn't have the lyrics to send me. She sent me placeholder text because she wasn't done some of them, I guess. She was still working on some of the lyrics. What about music? What access did you have to the record while you were working on the project? (Laughs) Well, I got access to it afterward, but yeah, for the first little bit, when she was just sending me the inspiration images and text it was a little challenging. 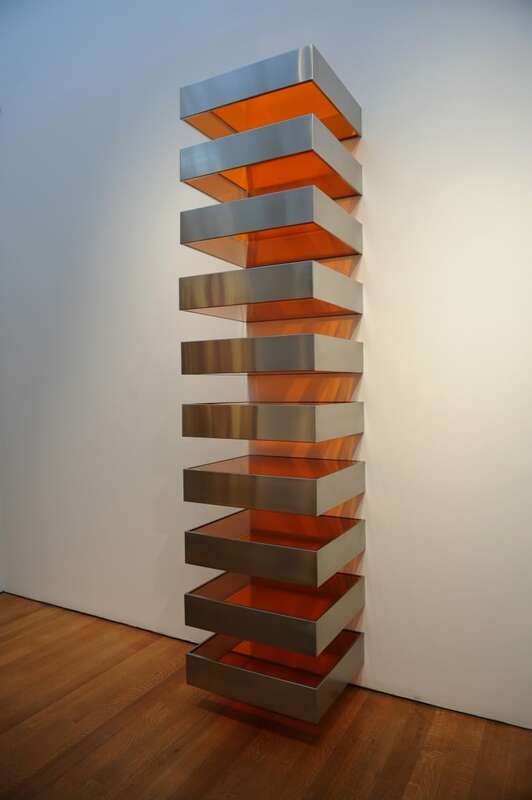 So you were really limited to visual references — some photos of Donald Judd sculptures, some Matisse collages. What did you find interesting — or what did you draw from those items — while developing the book? 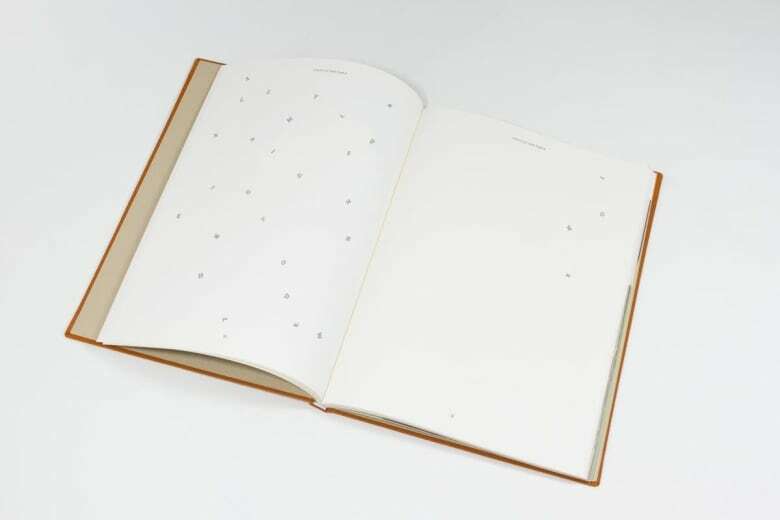 Yeah, she was really into minimalism, and I thought because the book was going to be just text it would make sense that it would be really minimal — a lot of white space on the page. That made me think of concrete poetry. Oh, I was wondering where the idea for concrete poetry came from. Yeah, and it makes sense with music — that concrete poetry idea — because you can emphasize words and certain sentences and play with those to match how the song goes. So I think it was a good idea for telling the viewers how the music would go, without them hearing the music. I was trying to get people to maybe start singing a song in their head when they read the words — if they're repeating or bigger, things like that. And yet, you're guessing what words the songs will actually put an emphasis on? 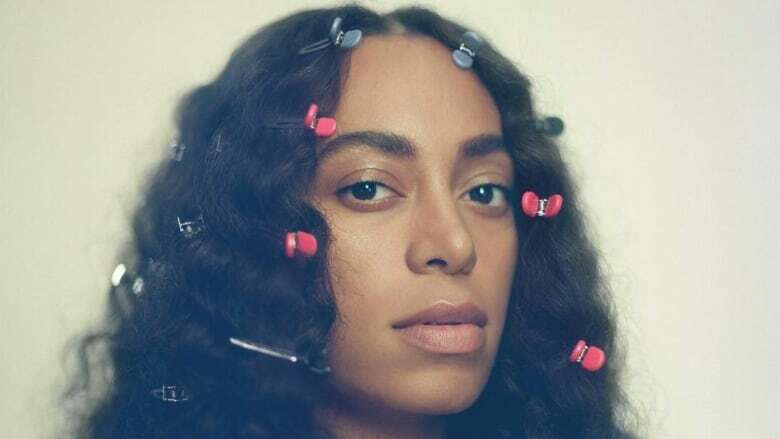 I don't know how many articles about the new album you've read, but have you noticed how some sites have been running pages of the book — pictures of the poetry — where they might have typically used a promo photo of Solange? I think it works. I think it helps to share what her process is, as opposed to seeing a final result — like hearing the song or seeing a music video. When you see more abstract things — or words, or placements of words — you maybe understand a bit more how they got to the final result. What are your thoughts on the trend towards musicians releasing sort of companion art works tied to new albums, whether we're talking about books like this one or Frank Ocean's, or "visual albums" like Beyonce's? I think musicians are interested in tying visual-art projects to their albums as a means to share their process. Maybe also it shows that their work doesn't end with an album on iTunes, that it never ends. Why do you think that approach has become become so popular with fans? I think it appeals to me because it makes me realize that it's an honest project, that it's from that person, that it's not everyone else telling her to do something to arrive at the song. It was really her and what she was interested in at the time. It just adds that human connection. That's appealing. If we're talking about how these projects reveal something about a musician — you had a pretty privileged position, but what did this book help you discover about how Solange works as an artist? I don't know if it's something that's usually in her habit of creating things — making things fast and getting them published — but maybe it is, and I think that's really interesting, not spending a year thinking about maybe doing a book or maybe not. It seemed like it was a month-and-a-half decision. It's really interesting to hear how quickly this was produced, considering everything I've read about the album suggests she'd been working on it consistently for about four years. So, you've had the chance to hear the record. What do you think? Oh, I think it's great. I like how she collaborated with a lot of people. That's what I'm really interested in right now, in design — collaborating with people in all different fields, and it makes me excited to see other artists who are just as excited to work with other people. Read the digital book of A Seat the Table on Solange's website.